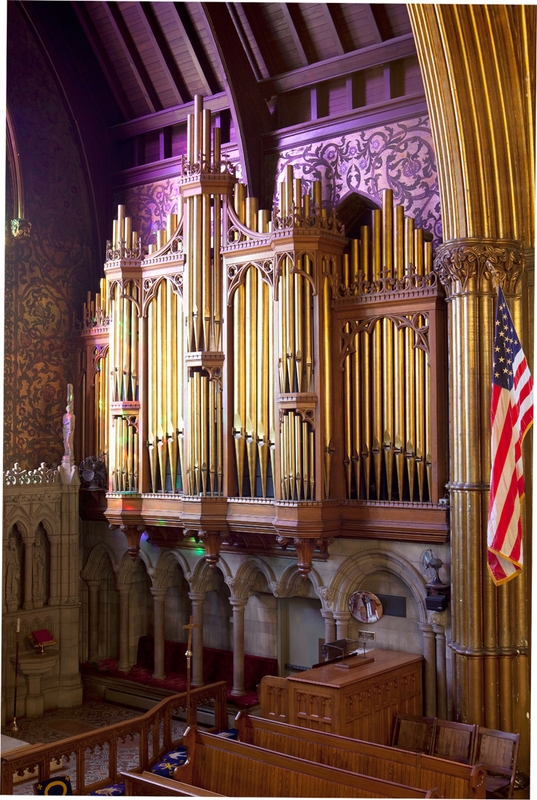 Opus 927 replaced a 1906 organ by the Hall Organ Company of West Haven, Connecticut, and which was located behind the present organ cases. It is a double organ, having three manuals and pedals in the Gallery Organ and two manuals and pedals in the Chancel Organ. 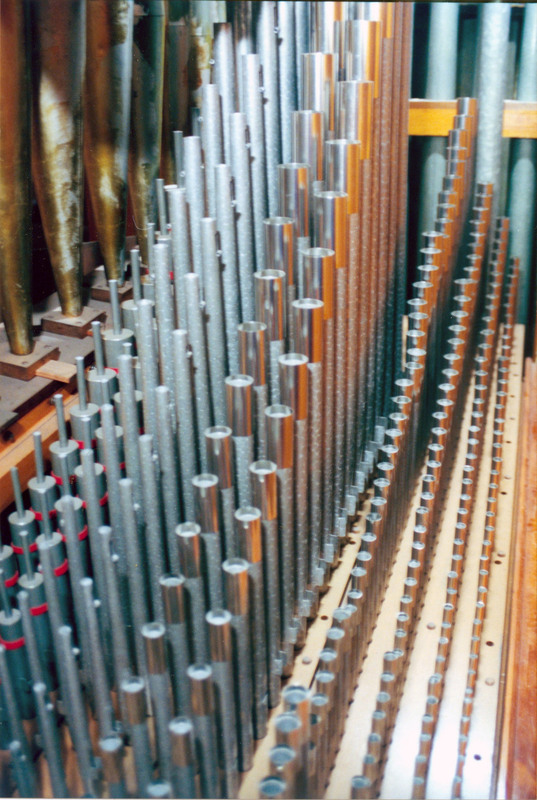 Three Pedal stops from the Hall Organ were retained in the Aeolian-Skinner Organ; the Chancel Pedal Bourdon, the Gallery Pedal Bourdon, and the Gallery Pedal Violone. All of the other pipework and mechanical equipment dates from the 1935 installation. In 1949 several tonal alterations were carried out in the Chancel Organ, including the elimination of the expression box of the Great division, the addition of a 2’ Fifteenth and mixture to the same division. 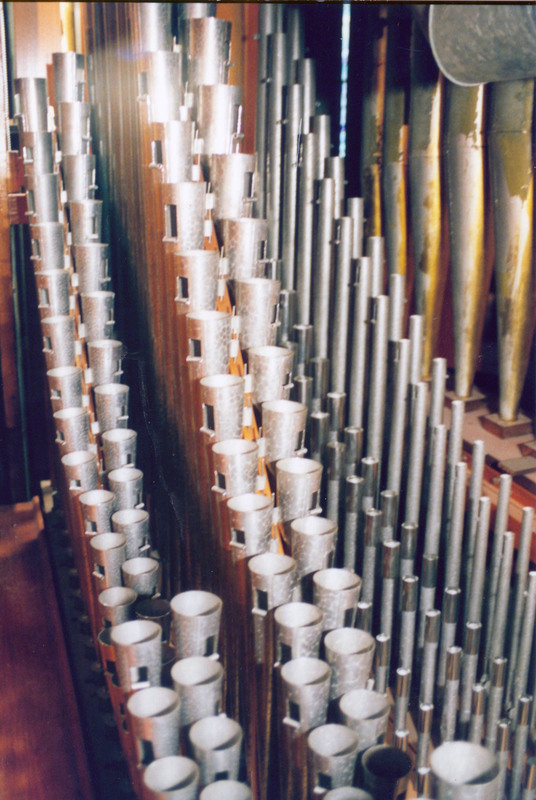 The Chancel Choir division also received several tonal alterations, some of which were reversed in subsequent alterations in 1975. 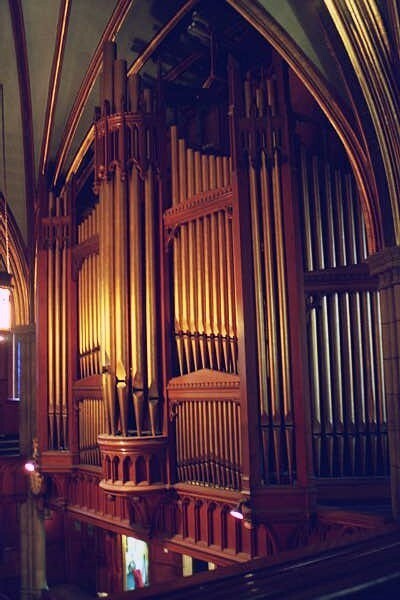 No tonal changes were carried out in the Gallery Organ with the exception of the addition of a period Aeolian-Skinner Vox Humana to the Swell Organ, and the addition of a Tuba placed atop the expressive divisions, both of these latter from the famous Skinner Organ Opus 851 in Hartford’s Trinity College chapel. Opus 927 is one of the few instruments from its period to survive relatively unaltered. 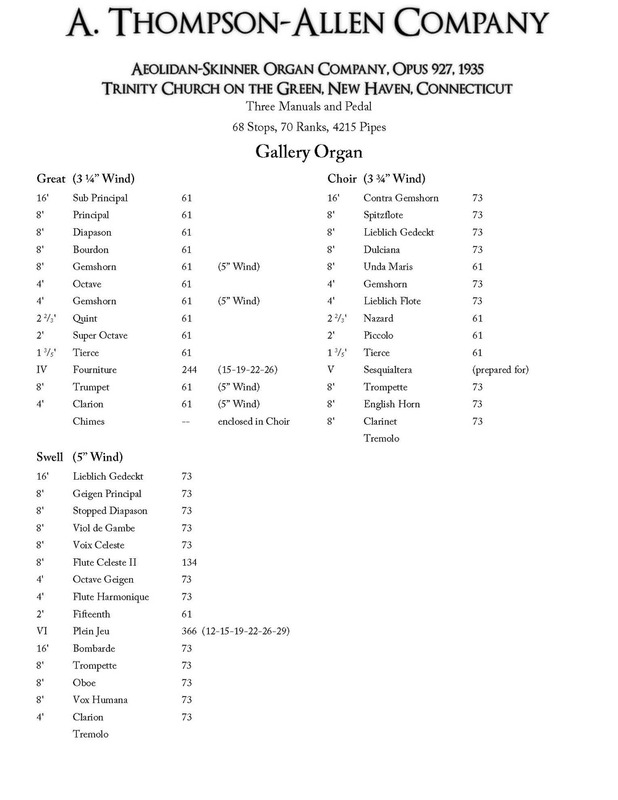 The Gallery Organ in particular has been carefully preserved, apart from the two additions mentioned above, one of which (the Vox Humana) had been prepared-for when the organ was built. 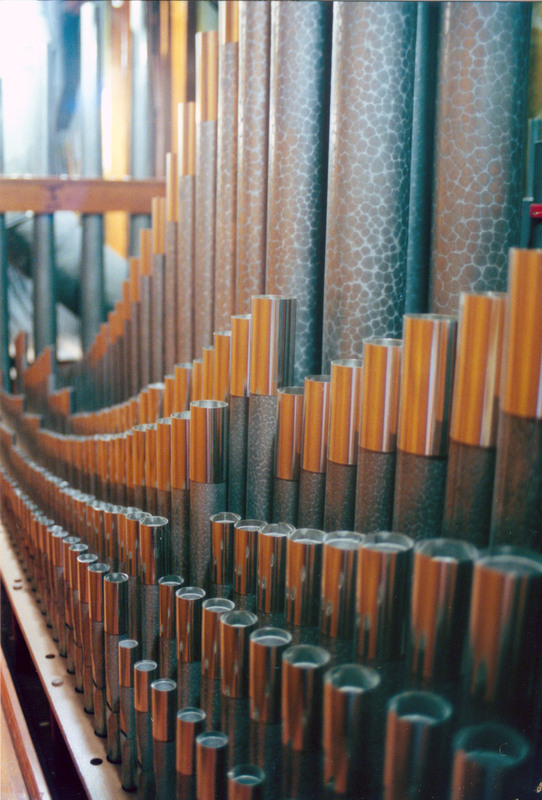 As such, this organ gives us an interesting glimpse into the fascinating period that saw its creation. 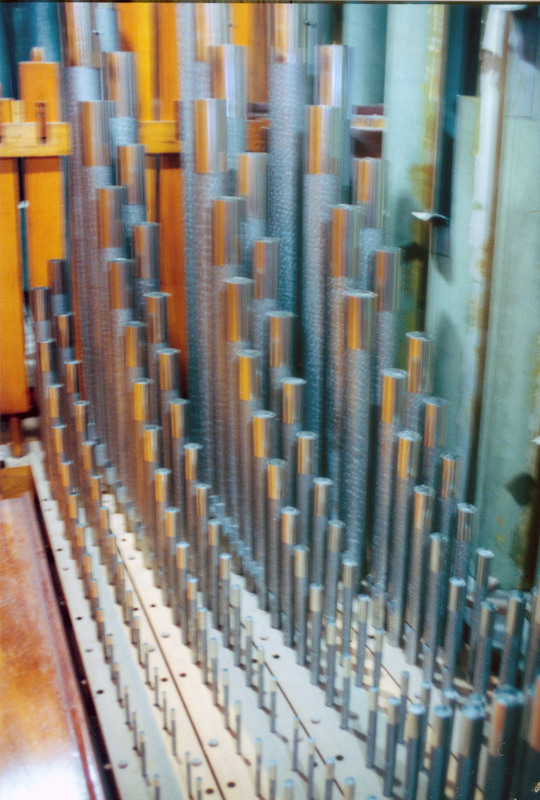 The restoration of Opus 927 was completed in 1994, concluding a series of major repairs begun some years earlier. It enjoys regular use in an active church music program, and does a superb job of accompanying three choirs as well as a large congregation. 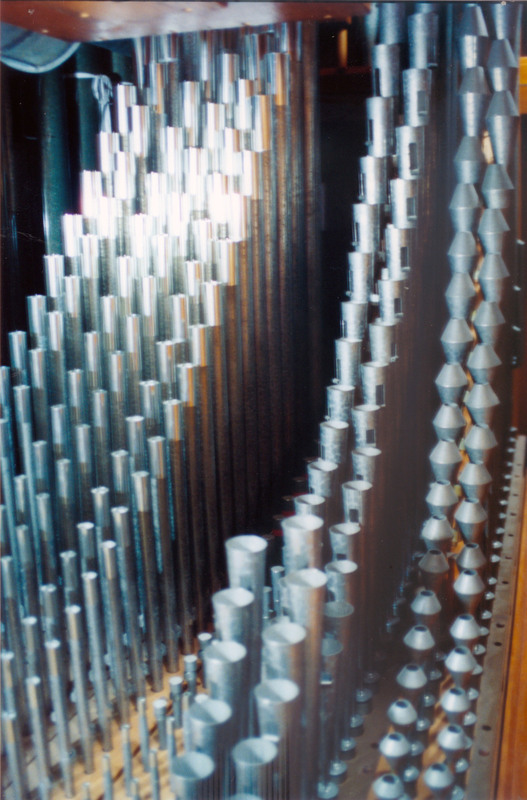 In the hands of a skilled musician, this instrument is comfortable playing much of the literature for the organ. 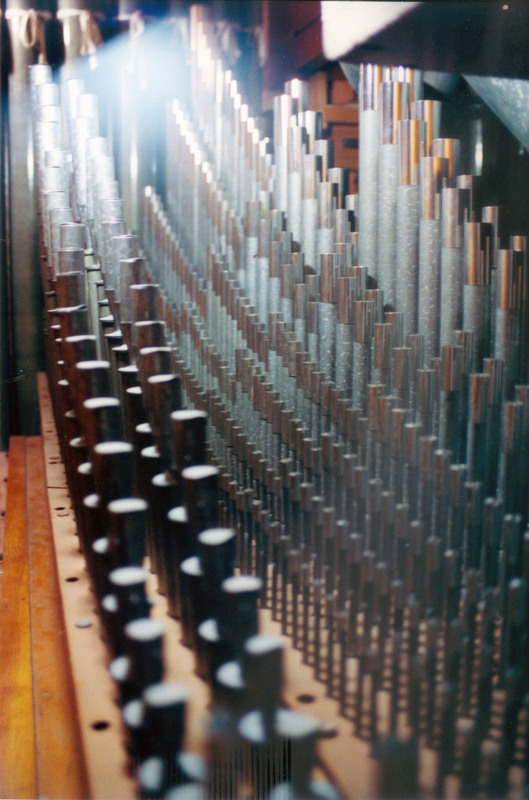 Opus 927 is one of the finest organs of its period to come from the Boston shops of the Aeolian-Skinner Organ Company. For more than two decades it has been played by Mr. Walden Moore, Organist-Choirmaster of Trinity Church.